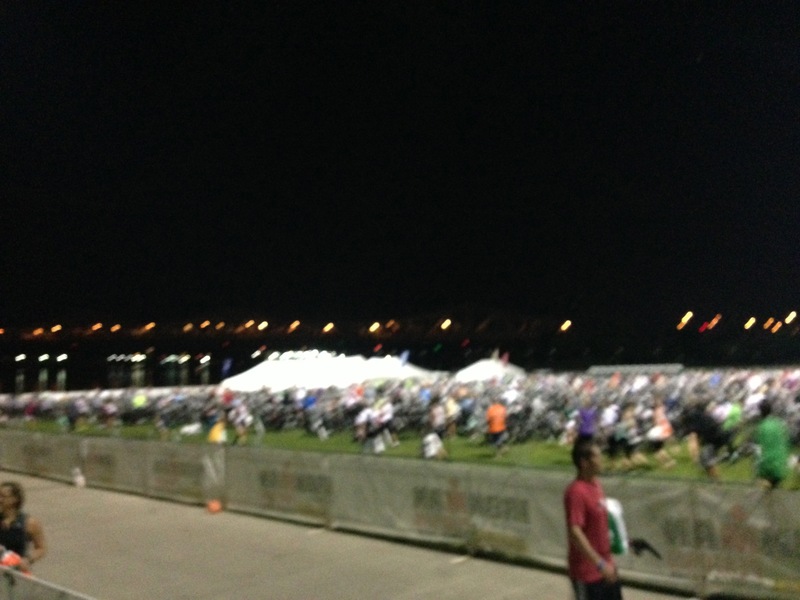 This past Sunday was Ironman Louisville. After taking a few days to take in everything that happened, begin the recovery process, and get back into swimming/biking/running, I finally think I am ready to sit down and reflect on my experiences at Ironman Louisville. Ok so if you read my last post, you are up to speed on the few days leading up to this race. I’ll pick up Saturday night as I was totally panicked about this race. I had been confident all along, but seriously regretted letting about six weeks leading up to the race completely get away from me and now that the race had arrived panic set in. I went to bed relatively early and actually got a good night’s sleep. Sunday morning the alarm went off at 4 and I was up and ready to go. I threw some peanut butter onto a bagel and chowed down. Amy and I walked down to transition. 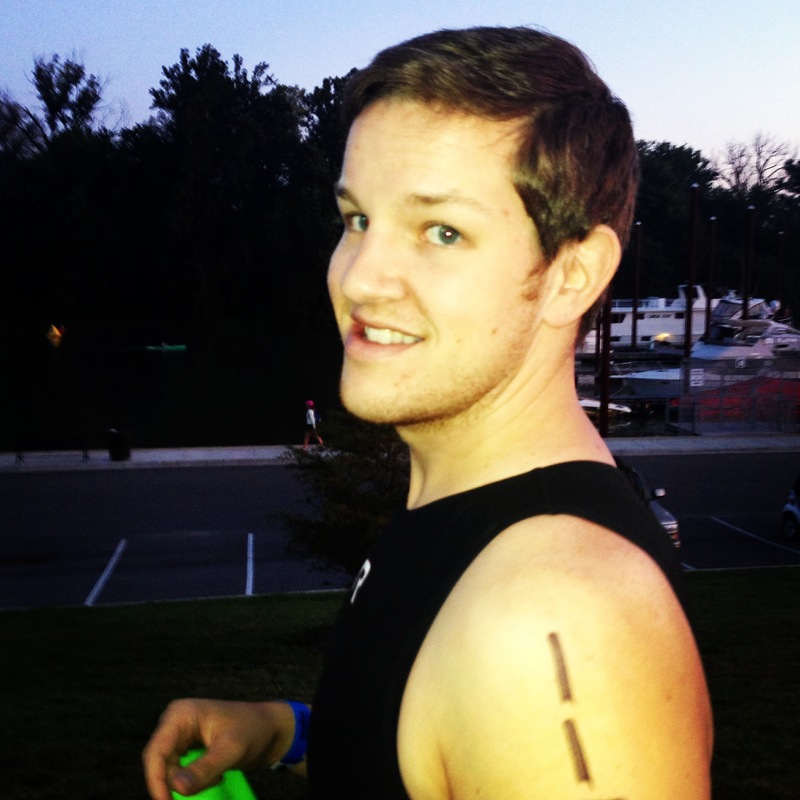 I pumped up my tires and double checked my transition bags and headed down to line up for the swim start. 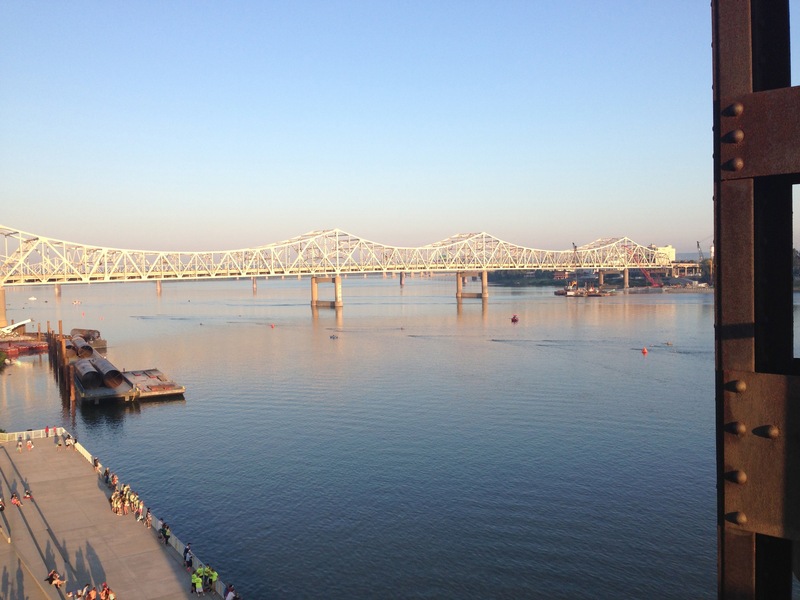 Louisville has a very unique swim start where two athletes enter the water at a time about 2 seconds apart until all athletes have entered the water. Because of this, a huge line forms from 5 am when people begin showing up at the start location hoping to get a spot close to the front of the line. 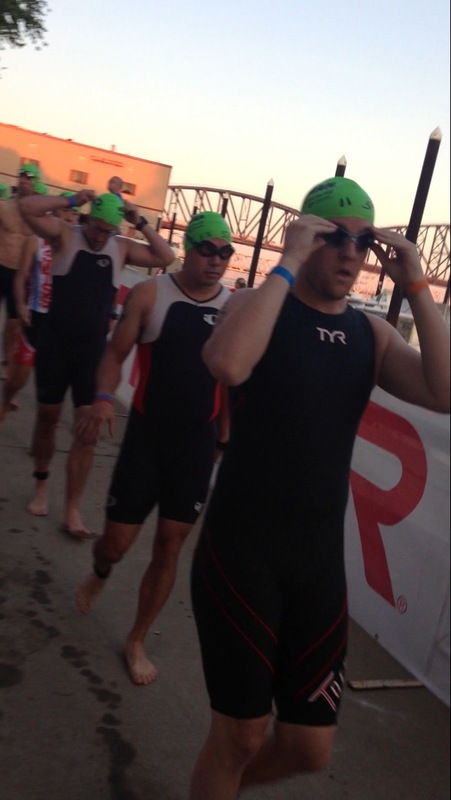 I was about half way down the line and got into the water at about 7:21. Swimming has always been my strongest of the three events. Strongest in the fact that I do not do much technique work or speed work and can miss swim workouts here and there and still feel completely comfortable getting in the water and swimming a swim split better than at least half of the field. That being said however, putting in just a little work on my swim would put me in so much of a better spot, but alas my bike and run need way more of my focus. Anyway, as I said, I got into the water around 7:21 or so. I jumped in and began to swim strong up river. The course was set in the Ohio River. The first 900 meters swam between the shore and a small island against the current of the river. 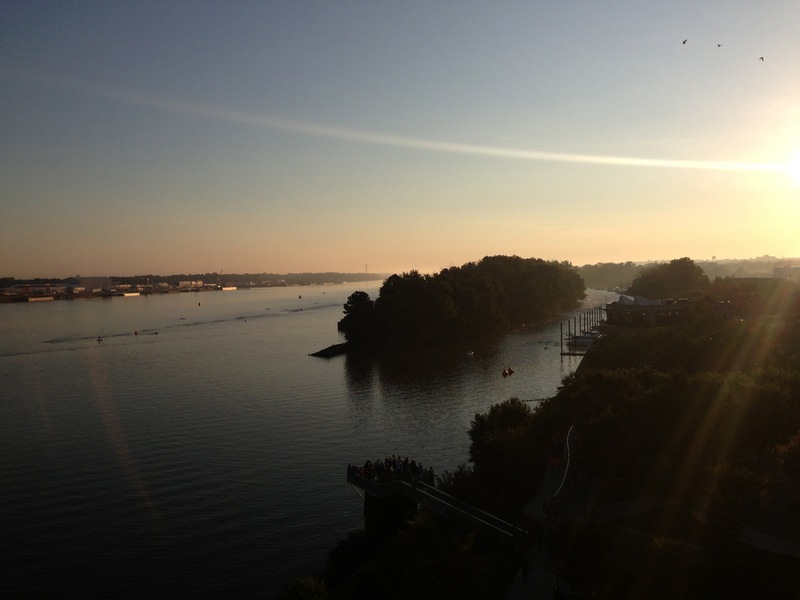 The next 400m continued upriver until two left turns were made to begin the majority of the swim course which brought the athletes down river a few hundred meters shy of two miles. We swam under a few bridges which was actually really cool and a lot of fun. Even though there was not a mass start, there was still some wrestling for position in the water. I took a few punches and kicks to the head and body, one which knocked my goggles partially off, but I was able to adjust them and kept moving. I got out of the water after an hour and about fourteen minutes, headed up to transition to grab my swim to bike bag and get ready for the 112 mile bike leg. Check back soon for the bike course recap.